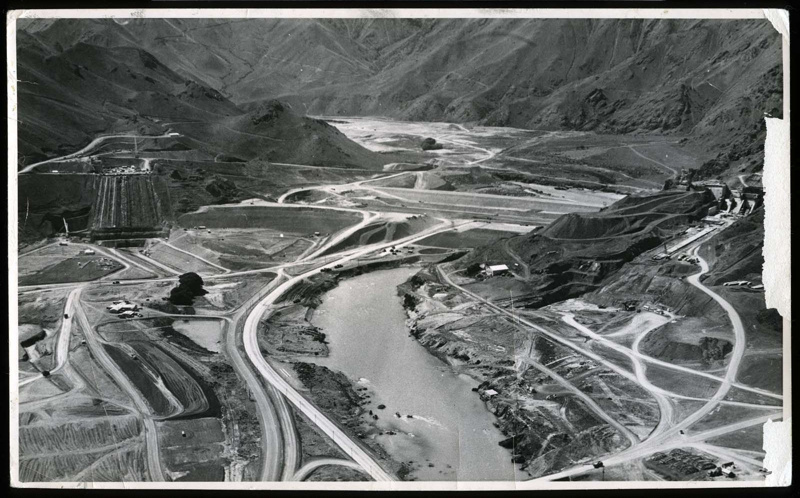 An aerial view of the construction of the Benmore Hydro Dam development, circa 1960. 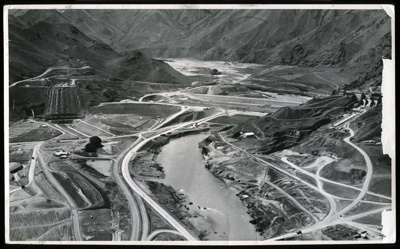 Construction of the dam began in 1958 and was completed in 1965. The enormous earth dam was the largest construction project of its time, being 957 x 118 metres and used about 12 million cubic metres of material including 400 000 cubic metres of concrete.